Click the above icon to schedule an appointment for your pet today. 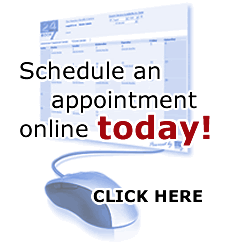 You may select the type of appointment, time and date for your convenience. Risinger Veterinary Hospital has online Equine Infectious Anemia (Coggins) and Certified Veterinary Health Certificates available. Once you have established an account at Risinger Veterinary Hospital, we can create an online account at myvetlink.com for you. You can access all certified veterinary forms any time you need online through your own email address. Please contact us today for more information. Texas A&M University College of Veterinary Medicine Partnership For Environmental Education and Rural Health (PEER) was established to help educate middle and high school students about veterinary medicine. Click the link to learn more about veterinary teaching materials, classes and online lessons, and even a tour of the College of Veterinary Medicine. 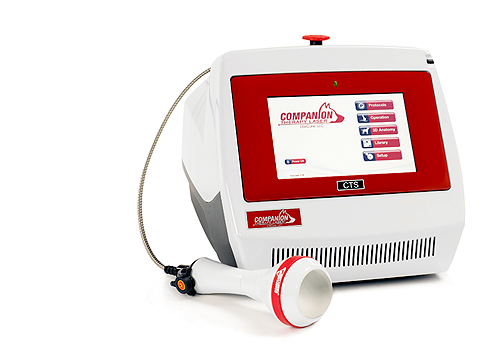 Risinger Veterinary Hospital is excited to offer our clients Companion Laser Therapy. Laser therapy provides a non-invasive, pain-free, surgery-free, drug-free treatment which is used to treat a variety of conditions and can be performed in conjunction with existing treatment protocols. Relief and/or improvement is often noticed within hours depending on the condition and your pet’s response. Whether your pet is rehabilitating from trauma or injury, healing from wounds, or simply aging, your companion can benefit from this innovative approach to treating pain.